BSJ | The Plague: Is it still a threat in 2017? The Plague: Is it still a threat in 2017? 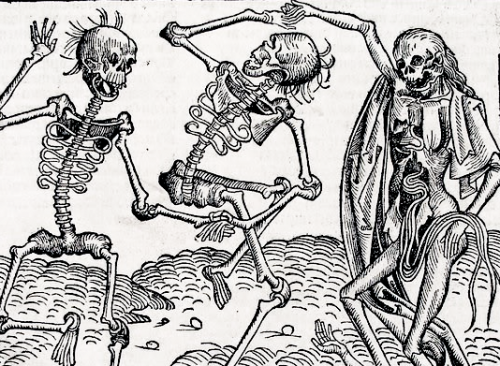 Nuclear warfare, climate change and…another bout of Black Death? Although listing the plague alongside other present-day threats to humanity sounds ridiculous, the threat of this medieval disease is still very real. In fact, it has recently been reported that fleas in Arizona have tested positive to plague bacteria and that a public health warning has been issued to residents. Thousands of people still contract the plague every year, with outbreaks primarily concentrated in Africa. Although underreported and largely ignored by the western media, Madagascar, the most adversely affected country, has been the nucleus of twentieth-century plague cases since 2014. But the question remains, are we in danger of another catastrophic plague epidemic? The Black Death, often labelled as one of the most devastating catastrophes in human history, ravaged over a third of the European population during the fourteenth-century. Caused by the bacterium Yersinia Pestis, the disease is believed to have infected humans via the vector of a rat flea. Interestingly, the strain of Yersinia Pestis seen in the DNA of fourteenth-century plague victims is almost identical to the modern Madagascan strain, thereby proving that to-day’s disease is straight out of the history books. A 2017 report from the World Health Organisation indicates that the Madagascan outbreak also shows evidence of two types of plague: bubonic and pneumonic. Although it is often misconstrued that the Black Death was a bubonic plague, there is considerable evidence to suggest that the pneumonic form was virulent at the time and caused a large proportion of deaths. Pneumonic plague is contracted when the Yersinia Pestis bacterium attacks the lungs, causing near-certain death when left untreated. However, if you were beginning to acclimatize to the prospect of hiding from infected neighbours or lancing your own buboes then I’m sorry to disappoint; the plague is entirely treatable with modern antibiotics. Surely this solves the problem? Unfortunately not. In isolated, poor areas the disease can often be difficult to contain and treat. Limited accessibility and poor communication links are the problem here. In fact, many outbreaks of modern plague have gone undocumented, as affected areas are often incredibly remote. Not only are these outbreaks difficult to discover and treat, these communities are typically more vulnerable to the disease in the first place. The rat-borne nature of plague means poor sanitation is a facilitating factor, while close-knit community living only serves to speed up the plague’s contagious nature. Indeed, isolated communities in parts of Africa and South America are not only more susceptible to the plague, their remote locale prevents easy medical treatment. Although we are far from the brink of pandemic disaster, the detrimental impact of the plague within poor, isolated communities arguably requires international acknowledgment. If the disease continues to reap havoc in remote areas, the danger of increasingly widespread and virulent outbreaks will surely grow. International health organisations must continue working with vulnerable communities in order to stop the disease at its source, due to the unsustainable nature of treatment options. Education and access to medical guidance will also bolster rural resilience to the plague. A modern response is needed to tackle this thoroughly medieval disease; a disease which refuses to be consigned to the past.